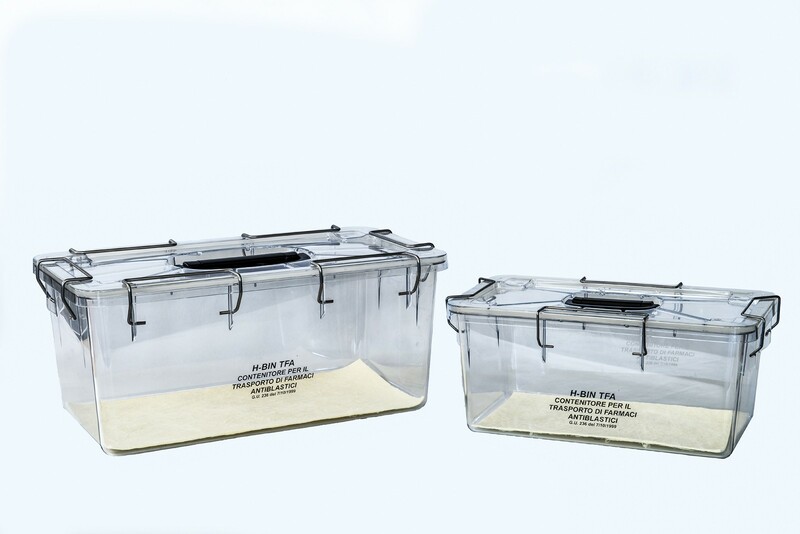 Airtight secondary containers designed for the safe transport of chemotherapy drugs in compliance with the guidelines and recommendations published by the Italian Ministry of Health (07/10/1999). 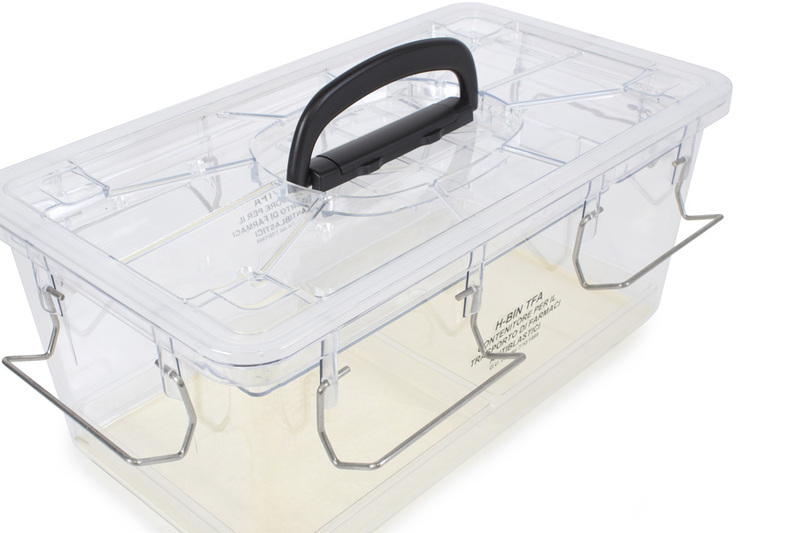 Made of heavy-duty polycarbonate, transparent to easily spot any accidental spills. 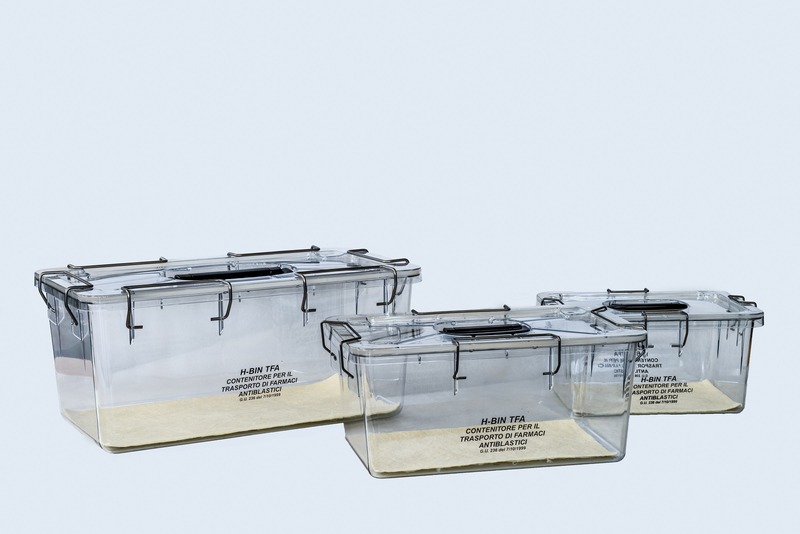 The containers are autoclavable at max 121°C. All the symbols required by the law in force printed on the sides.